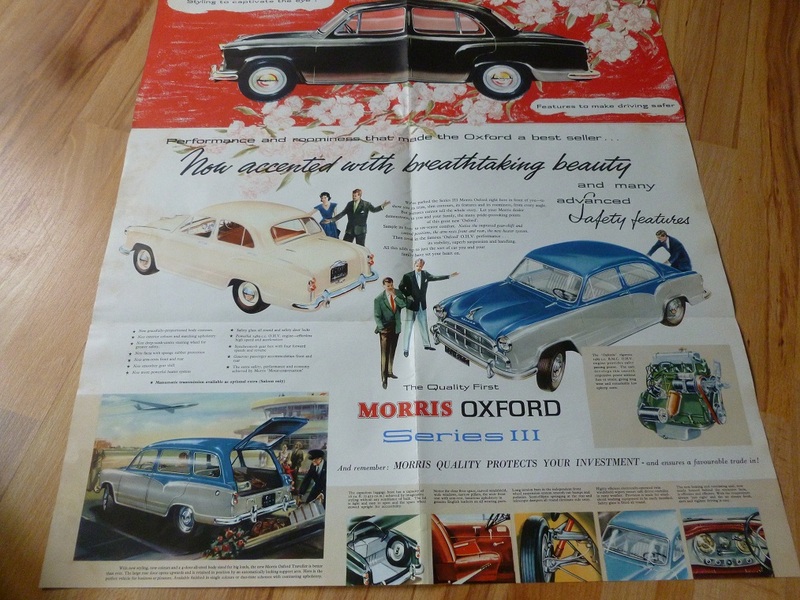 An original BMC sales brochure from the late 1950s for the Series 111 Morris Oxford range. Excellent condition. A “must have” if you own one of these cars. This brochure does feature the estate version too but we also have a specific sales brochure for that model alone and others for the Cowley model, the Isis and the Series V Oxford models as well. We have workshop manuals and parts books for these cars too and for many other 1950s and 1960s cars.